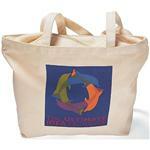 Large wide totebag with grommets an eco friendly bag. Love this large size, array of colors. 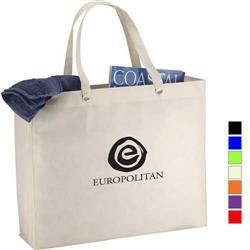 Stand out at your tradeshow and fit everything you could ever want with this 19"W x 15-1/2"H with 5-1/2"gusset custom tote bag. The grommets add some "style" without hurting your budget at all. 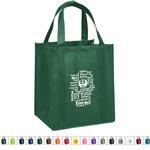 Contact us for more large tote bag ideas! FREE 24 HOUR PRODUCTION. 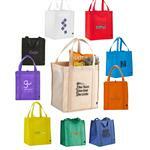 Dimensions: 19" X 15.5" X 5.5"
Available Imprint Options: Second color imprint add $.45 per bag.